We have a unique ability to support individual store locations with engaging customer experiences. Recently, we executed an activation with Home Depot in the busy King of Prussia market to support a smart home brand. By identifying in-market partners, we were able to craft a weekend event full of engaging product demos, education on issues and leveraging familiar faces in the community to make it feel personal and tailored. 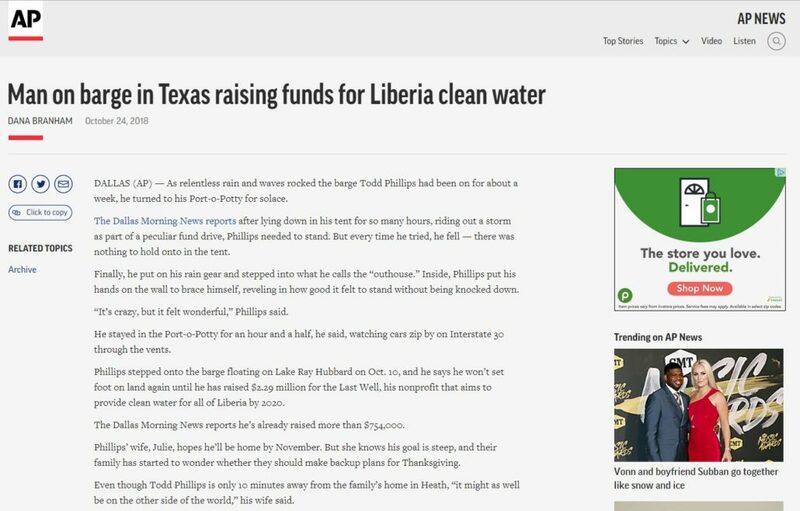 The press and influencer outreach made local ripples within the community and encouraged attendance. An overarching goal of the event was to not only generate additional foot traffic into the stores, but to also facilitate sales of the product. The event served as a very powerful testimony to a company’s support of a key retailer, and generated tangible results for the brand to show Home Depot how they are not only supporting the relationship, but how it can be templated and recreated in other key markets around the country! It’s critical for us to tailor our programs to the inventory available in various markets around the country. For example, if a winter beanie hat is only being sold in Alaska while the brand’s main markets are in the Caribbean, we must have that intimate knowledge to tailor appropriately. We can get laser-focused on local broadcast, daily newspapers and even influencers in a geographic region to support regional product offerings. In tandem, we will always incorporate a national media strategy to ensure that the brand’s profile is raised while still supporting a laser-targeted sales initiative. A tactic that often favors a specific retailer, we can seamlessly integrate a specific landing or product page into all outbound media outreach. Especially successful during a product launch, we have been able to more accurately measure a lift if traffic when a groundswell of launch coverage is all going to the same place. A post-launch report that can be amplified to sales teams is a boon to them to show the retailer why they’re worthy of continued shelf space and even serve as a case study for other key retail accounts. 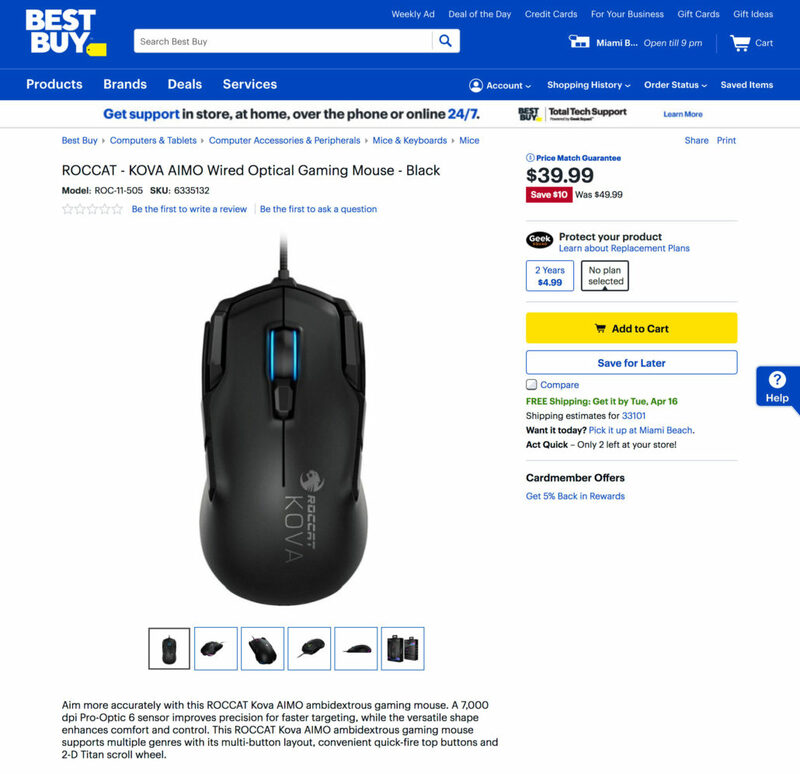 We have seen similar results to an online-only retail presence where a retailer such as Best Buy uses the online store as a proving ground on whether to include a product in the next store reset. While most companies are focused on offering the best products and services, it’s becoming continually important to be more vocal about its core values and how those are put into action with strategic cause marketing. Here at GreenRoom, we have always felt that commitment to a cause should be celebrated and be part of an overall brand story. The true skill of a brand’s communications team lies in one word: genuine. For instance, a thinly veiled purchase of a carbon offset does not reveal a true passion for sustainability, but a commitment to biodegradable packaging does. It’s critical to know the difference and put a responsible plan into action. 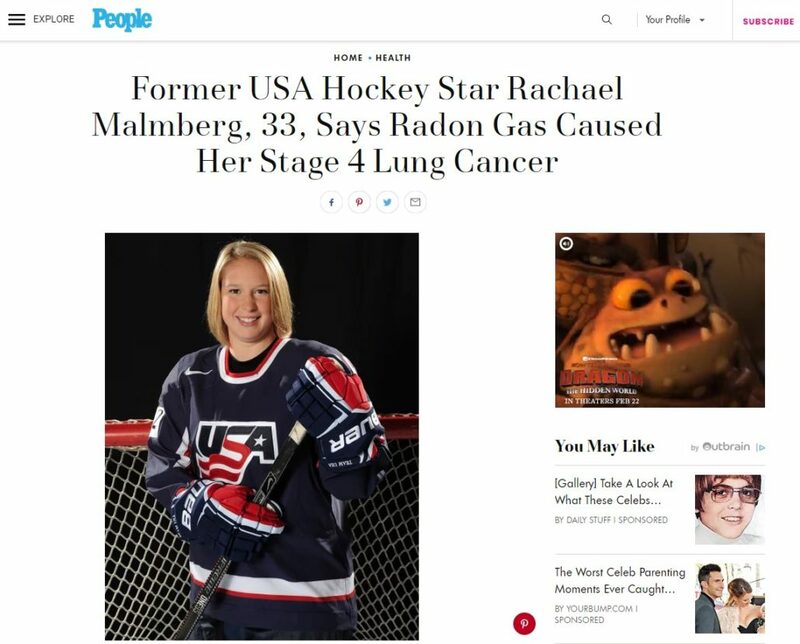 Radon is the leading cause of lung cancer among non-smokers, and former Team USA hockey star Rachael Malmberg is living proof. 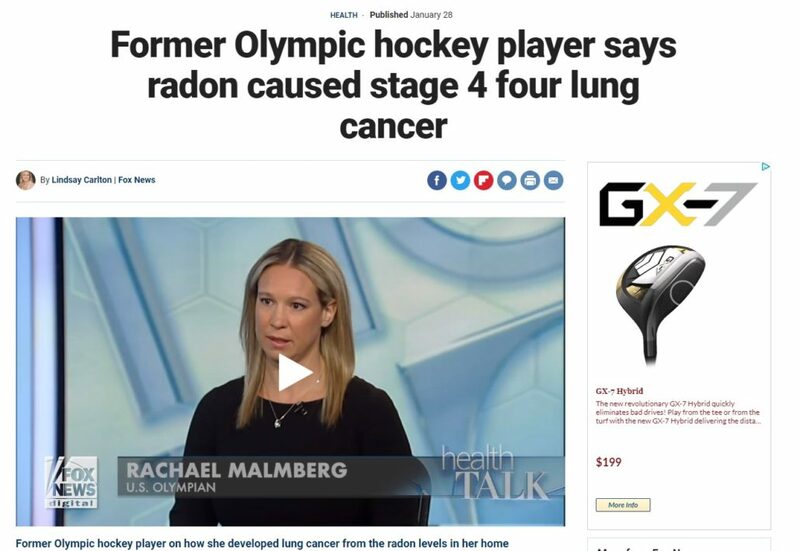 As 31-year old former athlete, Rachel never smoked but was diagnosed with Stage IV lung cancer, likely from high exposure to radon in her childhood and current home. Thankfully, she’s responding well to treatment and we’ve been able to give her a platform to educate consumers about the hidden dangers and the importance of ongoing indoor air quality measurement from Airthings. The 100-year-old confection brand and makers of Red Vines and Sour Punch Straws have had strong ties to the Boys and Girls Club and felt their mission of mentorship and support of the kids who need it most has never been more pertinent than in the tumultuous times we’re currently living in. Being moved by the story of an Olympic hopeful’s long journey from childhood bully to self-acceptance may be seen as a unique move since it didn’t have strong ties to them selling candy. However, the brand feels it’s much larger than that, and wants kids all over the world to embrace what may make them different. 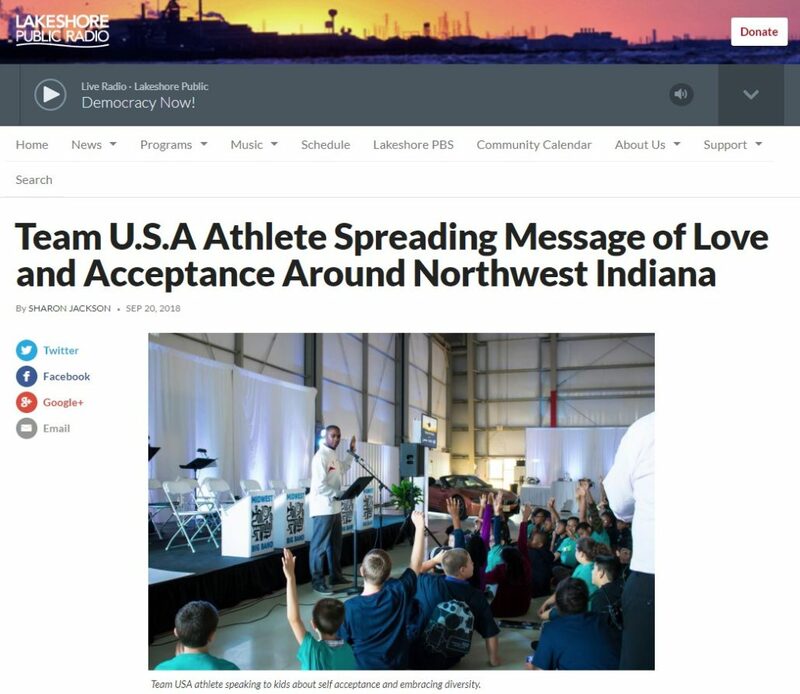 NPR affiliates agreed and we were able to harness the power of radio for the messages from this elite athlete to local groups of children. 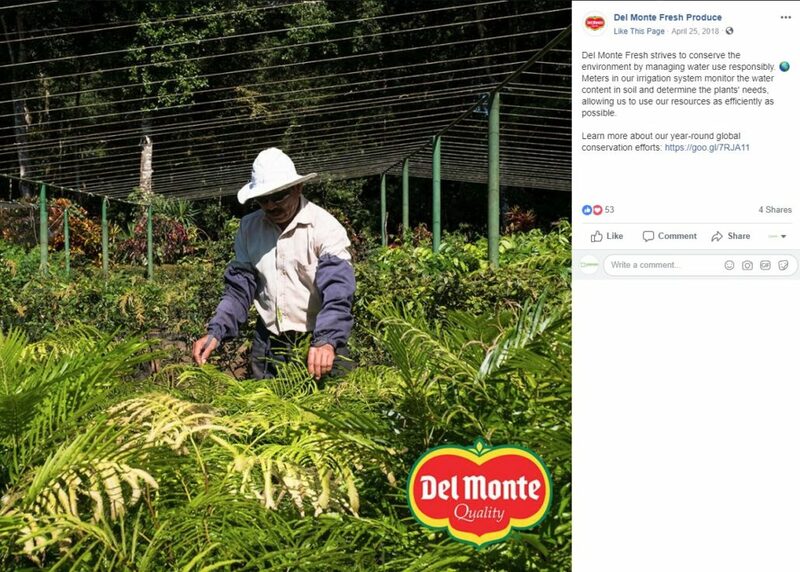 As one of the leading producers and distributors of fresh fruit, vegetables and prepared foods, Del Monte Fresh understands the importance of putting the needs of the environment and people first. 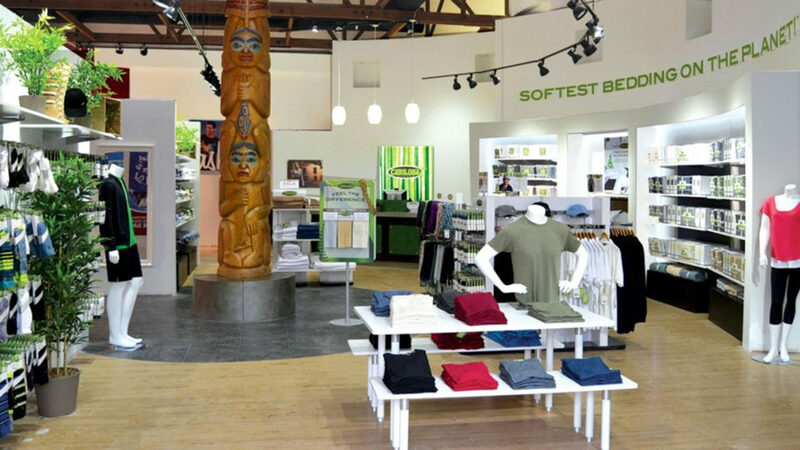 Not satisfied with simply adopting a high-level “green” approach to overall operations, the brand took a bold stance and implemented several initiatives supporting the protection of biodiversity around the world. 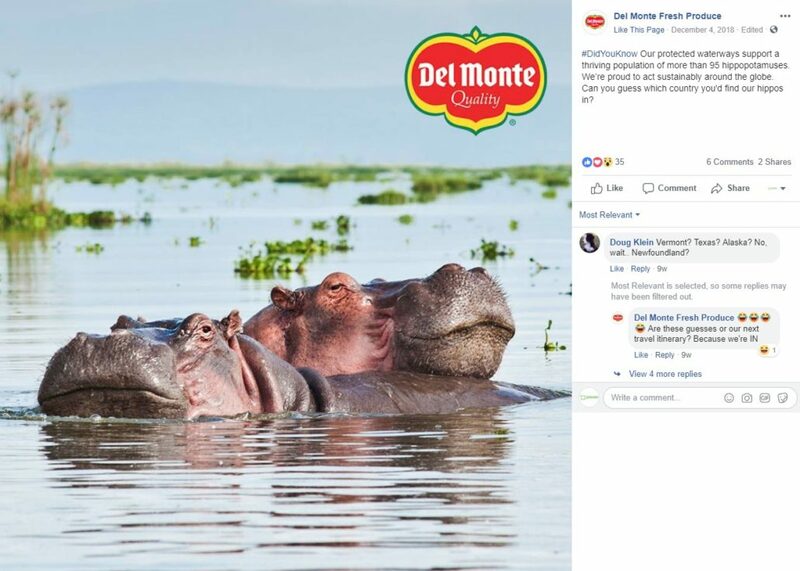 From wildlife and habitat protection to environmental restoration efforts, we strategically integrated these initiatives as part of Del Monte Fresh’s social content strategy to help educate followers on the importance of minimizing the overall environmental impact. In addition to highlighting the many ways this brand is committed to doing what is best for our world, we sparked positive community engagement across their social channels, expanding the awareness of these environmental campaigns beyond our current follower base. While the company tasked us with raising the profile of its premium water filters, as well as tick and insect repellent, a central value of the company is providing clean water to the regions of the world that need it most. Working closely with the team to give that commitment a greater voice gives us the ability to showcase a brand beyond its products, and one that truly believes it can save lives through access to clean water! 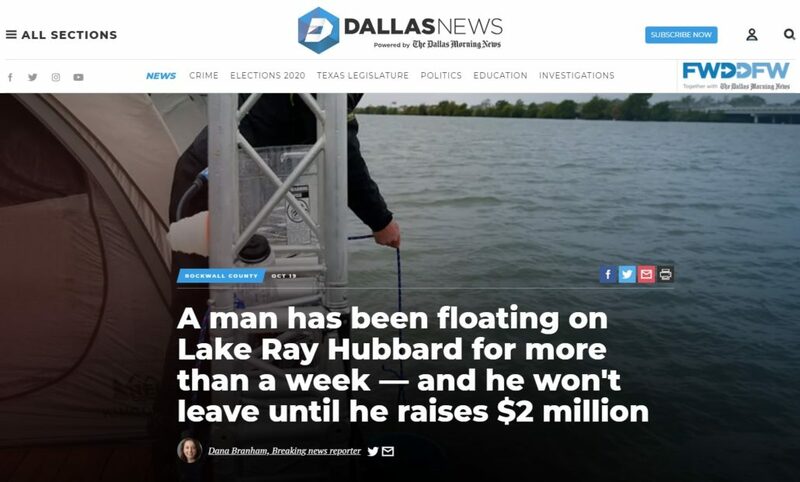 A very visible demonstration of how serious the brand is gave us the ammunition needed to saturate an entire media market in Texas. With over 1 billion active users per month, it’s no surprise your clients may find it increasingly difficult to gain followers and grow engagement on Instagram. It’s a challenge for content to be noticed in a busy feed and because of it, agencies are now tasked with finding fresh and creative ways to help draw in their audience. Creating a first impression is not just for an interview or client meeting. The first impression users have when browsing your client’s digital presence is a critical part of their brand sentiment and reputation. Currently, over 30% of Instagram users purchase a product they first discovered on the platform, making it imperative for companies to establish and maintain a visually engaging platform that will be inviting, gain attention, and ultimately drive sales. You may be asking yourself, “What is an Instagram theme and how do I go about creating one?” Simple actions like using the Preview app can help you edit photos, find hashtags, and schedule content in advance of posting. As it is oftentimes easier to learn by example, GreenRoom’s digital team has pulled together a few examples of how we have incorporated themes on our client’s platforms; effectively creating beautiful pages that gain traction. One of the most common and easy-to-create is the “Line Down the Middle” theme. You may have seen this theme on Instagram which is often made up of quotes or mantras on a flat or solid background. The appearance of this visual line breaks up the content and has a strong vertical orientation which helps guide your viewers as they scroll down your page. 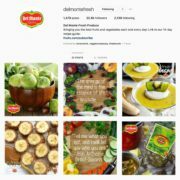 At GreenRoom, we have subtly incorporated this theme for Del Monte Fresh Produce on their Instagram page by using quotes on a flat background surrounded by fresh fruits and vegetables to break up giveaway, recipe, and user generated content. The “Puzzle” theme is another creative and visually interesting theme. While this layout may be a bit more challenging to design, the result is an intriguing and dynamic photo collage. This starts with linking all the photos on your feed together to form a larger picture. Aside from the more design-intensive aspect, it’s key to make sure each individual image is strong enough to stand alone as its own post. This means carefully thinking through how each visual will connect and what they will represent individually and collectively. 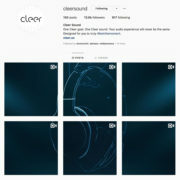 GreenRoom recently utilized this theme when creating Instagram content for a product launch at CES for our client, CLEER. Because this theme had never been used before, it strategically disrupted the our client’s content and established a clear break (pun intended) while generating excitement for something new on the horizon! Keep in mind, the “Line Down the Middle” and “Puzzle” themes are just some of the various ways you can incorporate a new aesthetic into your Instagram feed. A variety of themes including black and white, bright colors, checkerboard, consistent filter, white or black borders, are potential avenues for you to change up your brand’s look and feel. It’s important to research and explore other accounts on Instagram for inspiration to help you find the best theme for you or your client’s business and put it into practice. With so many ideas, it may be challenging to choose just one theme but it’s time to get those creative juices flowing! As we start the year, we have our eye on a few trends that we think will engage audiences and make a name for themselves throughout 2019. These trends are technologically advanced, solidifying their place at the top of trends at the turn of the decade. The popularity of Shoppable posts continued to expand with the increase in availability in Instagram stories, ads and in-feed posts. Along with global support and accessibility on mobile, the audience’s path to purchase has become further streamlined. Instagrammers are 60% more likely to buy a product that is available on a social network than any other platform. In addition, 78% of American consumers have discovered retail products to buy on Facebook which is why Facebook ads are a strategic part of our marketing strategy for our retail clients. As we gear up for 2019, we have already begun to discuss how we can leverage these new features to enhance the customer buying experience for our clients while adding our own innovative and creative GreenRoom twist. Over the past year, we saw Instagram’s software further propel Instagram stories’ popularity by allowing users to expand their social narrative through Story Ads, Story Re-shares and Story Polls. 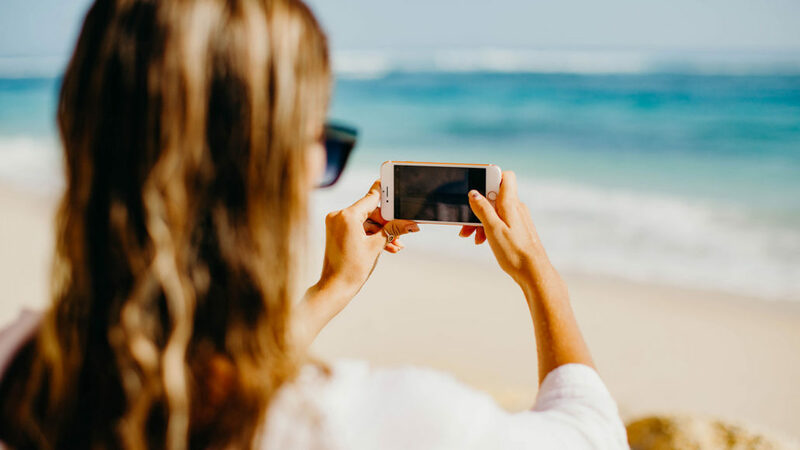 With a heavy focus on the value of video content on Instagram, a format that delivers 1,200% more shares than images and text combined, updated features to Instagram Stories were well received by the industry as a whole. These new features allowed businesses to foster better relationships with their audience and gather deeper insights on their desired target audience’s behaviors and interests. In addition, these new features allowed individual users the opportunity to express their creativity in an exciting and interactive new way. People ages 21-38 champion authenticity above all other attributes on social, which has led to the rise of brand-supported crowd-sourced content. This is brand related content that is voluntarily produced by its customers. With an average of 60 million images uploaded to Instagram daily, UGC is among the trendiest and most scalable way for markets to showcase products, celebrate fans and drive revenue to their page. GoPro leverages UGC by sharing customer content to show just how you can put their cameras to good use- from skydiving and surfing to deep-sea fishing and car racing. This trend has become especially popular on Instagram because major brands are reposting user-generated content as part of their content strategy. This relationship builds brand credibility and urges customers to become brand advocates. 56% of consumers are more likely to buy a product after seeing a positive customer-generated post about it. As 2018 ends we saw duo tone designs integrate into facets of many industry. Companies ranging from Hulu, to Beats by Dre have been leveraging the trend, combining two contrasting colors to convey a mood, message or story. 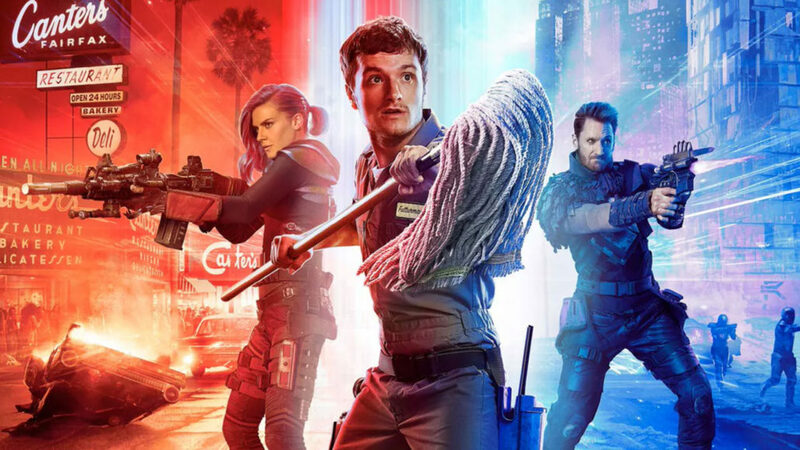 As seen below the Hulu show Future Man uses a duo tone creative in their ads contrasting red and blue to divide the banner in half. This strategy was created to visualize the contrast to the show’s plot with past and present day. The goal of duo tone is to create a visual that demands attention using colorful contrasts. In a space where brands are constantly competing, this edgy style of creative is allowing brands to stand out, refresh current content and provide more diversity within their color scheme. Keeping an eye on varying trends is a necessity because it important to know not only know what is trending creatively but the best way to leverage that trend on different social platforms. 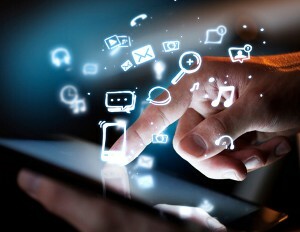 We specialize in tracking trends through social listening strategies in order to activate on a trend in real time. It remains critical that we’re always true to a brand’s ethos but would be remiss if we didn’t recognize the trends and leverage them where appropriate. It is important be vigilant and have a strong understanding of the merits of our clients and their overall goals that will generate success in the social space. Q4 is officially upon is, and that can mean many things to many people – to the average person, it means firming up their family time plans for the upcoming holidays, enjoying seasonal activities, and to many, the joys of shopping (and shopping, and more shopping) aided by Black Friday, Cyber Monday and the holiday gifting season. But to brands and their respective agencies, this time of year has a much different meaning. Q4 can be a make-or-break time fraught with stress for growing brands who are under pressure from stakeholders, investors and leadership to deliver on their lofty sales aspirations. When a company’s bread-and-butter is a product that has seasonal or gifting appeal, meaning a heavy percentage of their e-commerce and retail revenue is made during this 2-to-3-month period, the critical need to hit the mark becomes even greater. All of this is widely understood, but in a saturated marketplace, it’s easier said than done. What can be done to deliver the type of media attention and coverage needed to truly move the needle and correlate with tangible growth in brand awareness and sales? It’s no secret that the overall media landscape has undergone a dramatic shift in structure over the last handful of years. As media houses and publications attempt to navigate this and stay afloat, newspapers have shuttered print editions completely or moved to a full online subscription platform, industry-leading publications have consolidated (think Men’s Journal absorbing Men’s Fitness), and journalists have begun seeing their work syndicate across several different media outlets owned by one conglomerate as a way to occupy space, capping the amount of “new” content published. One major introduction to the media world that has quickly evolved into a core factor in alleviating media attrition is affiliate marketing. For those new to the term, affiliate marketing is a tactic where two or more entities partner to benefit from the web traffic or sale of an item. The brand or partner in turn reaps the reward of a sale via incentivized exposure of the sales channel, such as Amazon, and the sales channel earns a commission by promoting and selling those products – a profit sharing model that has become essential to the sustainability of several media corporations. As a result of this, we’ve seen a seismic shift in editorial content and focus because the affiliate partnership is a constant priority. Taking things even further, some media outlets have moved to a partially or even fully “paid” model – meaning a large percentage, or all, of the content on their website is rooted in keeping the affiliate partnership front and center. If this makes you feel like your reading time is blurring lines with your online shopping time, you’re not alone. All that said, it’s as important as ever for a brand to have a presence in top-tier media outlets, especially with the online sales process becoming accelerated on the consumer’s end. But what’s a brand to do? Several publications are employing media professionals who are tasked with the sole responsibility of overseeing and managing affiliate partner content. We’ve fostered tight-knit relationships with those contacts. We’re already constantly in conversation with e-commerce teams about Holiday 2018 and have been for months, educating them about our client’s products and the retail channels at which they can be purchased. Lastly, in tandem with our incredible digital and social teams, we’re working with influencers and popular YouTube personalities to generate original brand content as part of our core programming for clients, staying ahead of the evolving media curve while still helping our brands achieve their goals for consumer awareness and traffic. We’re able to turn what for some agencies would be a dead-end (“no luck this year, their gift guide is all affiliate content!”) into new opportunities for our client. Whether it’s a giveaway, paid partnership, or simply finding the right contact, we pride ourselves on being more in-the-know than any agency and capable of trendspotting what’s next in the marketplace before it even happens. Paired with an aggressive approach to making inroads with publications and understanding the innerworkings of how they are handling their upcoming content, we find it to be a recipe for success. The next several weeks are a critical time for brands with any hope of securing the holiday media coverage they dream of. Why not find out what it’s like to have an agency that can take that stress off of your hands? An internship is a must when transitioning from the classroom to the workforce, as it helps you gain practical experience, expand your network, and, most importantly, learn about what you want (and don’t want) in a job. I was able to turn my GreenRoom internship into a full-time job as an Account Coordinator. If you’re like I was and have “Internships can turn into full-time jobs” at the center of your vision board, I have a few tips for you for your next internship. Most of us apply for internships while balancing class, school organizations, a social life, and sometimes a second job. However, while you’re in the office, you need to treat your internship like it’s your only priority. Work hard to surpass expectations and show you’re reliable in order to earn the respect of your boss and co-workers, proving you have what it takes to be a full-time employee. • Pay close attention to details and deadlines. I can’t stress enough how important time management is, especially in a PR/Social Media job. Keep track of all the projects you’re working on, be prepared for meetings, and take notes about everything that’s happening in the office, even if it doesn’t pertain to your role. It’ll help you get more involved in projects and show your coworkers that you’re eager to learn. Whether you’re assigned a quotidian task or something you’ve never seen before, make sure you take ownership of every assignment. Remember that your potential isn’t only seen when working on high-profile assignments. Show off your skills by doing everything you’re asked to do well (no matter the task! ), ask questions when you need help, and through it all show your excitement to keep learning and doing more for the agency. Those who can do small tasks well are more likely to be trusted with bigger projects. • Show an eagerness to learn. Show you’re serious about a future in PR or Social Media and at GreenRoom by asking questions, offering to sit in on meetings with different clients, and showing interest in different job paths. • Push yourself to tackle new things. When you’ve wrapped up a task, ask for the chance to complete the next step of the project or even see it through to the end. This will prove you’re more than capable of taking on challenging (and exciting!) assignments. Taking ownership of a project puts you in a good place to continue managing that project. Even in small things, look for opportunities in ongoing tasks that you can take on as yours. For instance, I started putting together monthly reports, relieving the PR team of something that could pull them away from pitching. After showing I could do it well with little guidance, it turned from a one-time project to something I always worked did. When it came time to assess if I would get a job, it was clear that I’d already have work on my plate in the future. After all, I had created a style, organization, and comfort within the company around this ongoing task. In short: beyond being reliable and showing your potential, make it so that there’s no one else who could quite fill your role. • Become independent. Create a place for yourself in the office by taking on independent projects or focusing on a specific area of your expertise that you can own. • Offer new ideas. Showcase your creativity and offer ideas during brainstorms or client meetings. Your contribution is always helpful to the team! Making a great impression, building strong relationships with your colleagues, and making yourself an integral part of the team will get one foot in the door when a full-time position opens. Whether you’re in a PR or Social Media internship, these tips are fundamental in helping you land a full-time position once your internship is over! 1. Continuous Check-Ins: Regularly check in with the media and offer them support whenever possible. Becoming a go-to source will give a company a better idea as to the outcome of their article and will provide them with a wealth of feedback to improve their product or service. 2. Customer Service Involvement: Giving the media a chance to speak to a company’s customer service representative can improve a review and uncover added features they may have not come across on their own. It will also reassure them if their readers encounter a problem, a helpful customer support team is only a phone call away. 3. Fact Checking: It is important to double check the spelling of a CEO’s name or that the web link directs readers to a company’s site. Being proactive in this area always pays off many times over. One of the most rewarding and fulfilling aspects of being a community manager is the ability to engage with a brand’s core fan base each day. Community management offers brands the opportunity to speak with fans in real-time – one of the things that make social media so unique and valuable, and most importantly, integral to a business’s growth. Fans want to feel like they are valued by the brand and are a part of the team. While customer service is an integral part of a social media campaign, when a brand can elicit positive emotions on social media from a follower, chances are, you’ve done your job correctly. How you choose to interact with your followers is extremely important in the realm of sentiment. Positive word-of-mouth and sales leads are the goal, and keeping tabs on fan sentiment about your brand can offer key insights that can affect your businesses bottom line. Utilize Hashtags:By creating a unique hashtag for your brand, you can easily listen to and join conversations your fans are engaging in. Pro tip: Hashtags for entering a contest or creating evergreen hashtags can help you track and monitor communications about your brand. Build Relationships: Start conversations with fans who interact with your brand and engage with them on other relevant topics aside from your brand. Liking their photos or commenting about a topic can often transform a fan into a brand advocate. Cultivate Advocates: These are the fans who consistently talk about your brand and jump into conversations with you daily. Advocates are essential to community growth. Plus, their word-of-mouth praise can drive new business for the brand. Take Advantage of Giveaways: Nothing says “I appreciate you” more than rewards. When a brand reaches out to its loyal followers and rewards them with product, the fan is typically overwhelmed with joy. Even if the fan was originally impartial to the brand, a giveaway or a prize can be the point at which they become true brand advocates. User Generated Content: Sharing fans’ content on your brand’s channels can bolster engagement and brand affinity not only from the fan but also new potential customers. Seeing that real people use your product in their everyday life can be more of a motivation to purchase than any other methods of promotion. OK, you dived into the large pool that is social media and identified the best social media platforms for your business. What’s next you ask? ENGAGEMENT, of course! Getting a handle on communicating with your fan base is one of the most important elements of a successful social media strategy. Once you start to engage how do you react to positive or potentially negative comments? The solution is simple. Utilize these key steps when engaging with your audience in the digital space. Always address a complaint publicly and actively engage to steer the conversation offline via a Direct/Private message. Most of the time fans just want to feel that their concerns are being heard and the brand values their patronage. Referring a complaint to a customer service number or instructing them to send a Direct/Private message are efficient methods to address the matter away from the peering eyes of the public. Creating a template of canned replies for frequently asked questions and complaints can help streamline the process of engaging with negative comments. A brand should always follow through with a solution once a complaint is addressed. Leaving the matter unresolved can turn a situation from bad to worse. Always acknowledge a positive comment with some form of social action (Like, Comment, Retweet, Share, etc.). There’s nothing more gratifying for a fan than to feel like a brand has singled out their response and engaged with them. For both positive and negative interactions it is imperative to respond in a time sensitive manner. If you wait to reply you can miss out on an opportunity or even have a negative situation escalate. The recommended time of response should be 10minutes to 30 minutes at the latest. Remember to surprise and delight “super fans” with special offers, codes, gift cards and more to ensure continued brand affinity. 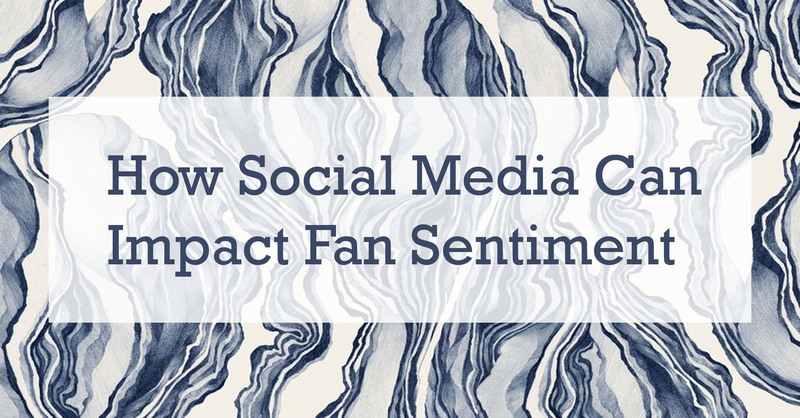 Utilizing UGC can go a long way as a tactic to convert a fan into a brand advocate. It can also provide your product or service that third-party stamp of approval that every consumer longs to see. Customers are more trusting of a review from an actual consumer’s experience, a third-party source, rather than the brand itself. Now that you have the tools you need to successfully address positive and negative comments go out there and get social!